» Cabinet of Lost Secrets ! 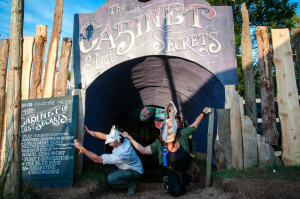 A anticiapted return of Clik Clik’s Cabinet of Lost Secrets to Nozstock is just around the corner! With less than 2 weeks until the festival, the Cabinet crew are busy working away getting a brand new den built for your pleasure! 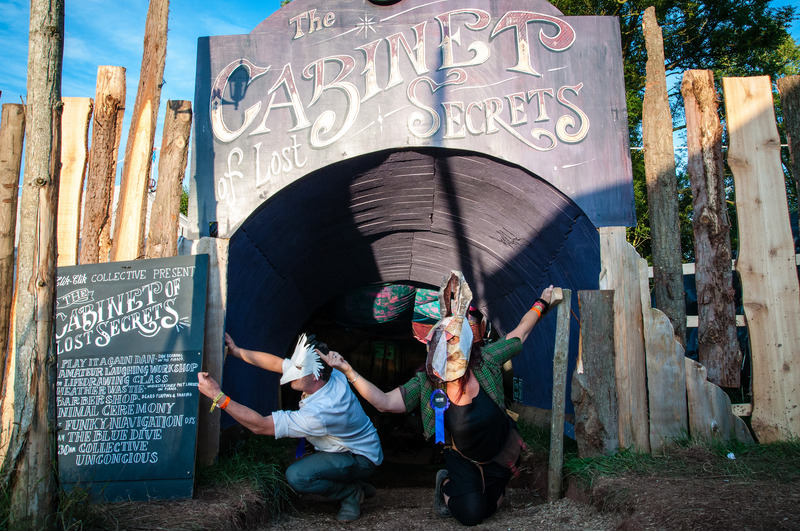 With new surprises and secrets, you really need to experience this for yourself, so buy a ticket for Nozstock and come and see whats going on! Plus enjoy the beautiful location and super friendly vibes! Cantaloop, Seas of Mirth, Screamin Miss Jackson and the Slap ya Mamas Big band, Collective 43, Steve Strong, Rosebud, Desert Boots, Pink Diamond Revue and Calm Like a Riot, with a mix of deep funk and grooves, dark electronica, New Orleans Street sounds, pirates and playful interactive performances. DJ’s include the remix king Sam Redmore, Brightons funkster Beatwell and the Cabinet house dj’s Funky Navigation all getting you so funked up you won’t stop those feet! Plus Clik Clik interactive pop ups, mask making and masked life drawing, Play it again Dan, Tinkle Me piano, live Barber Shop and BIG surprises! July 22nd – 24th. Nozstock The Hidden Valley, Bromyard, Herefordshire.